What is the best flooring to sell a house? Our Ann Arbor Realtors know what the best flooring to sell a house is, do you? Buyers entering your home usually look down before up. That first step is vital for making a great first impression. It’s one reason why more people are installing hardwood floors in their homes. A dark shade with light furniture is sure to make potential buyers take notice. Hardwood flooring enhances the look of any room and can create a classic ambiance that will beautify the interior design of your home. Residential real estate agents agree that homes with wood floors hold their value better, sell faster, and fetch higher prices. In 2014, 99% of real estate agents responding to a national survey conducted by the National Wood Flooring Association agreed that homes with hardwood floors are easier to sell. Also, 82% believe they sell faster and 90% sell for more money. The American Hardwood Information Center adds that restoring hardwood flooring in the home is one of the best long-term investments one can make. Real estate professionals agree that carpeting does not impress potential buyers, but hardwood floors are always a draw. Engineered wood floors impart warmth, depth and richness that can’t be matched by carpeting, tile or vinyl flooring. Despite the existence of modern architectural trends in flooring, hardwood still competes with tile and other materials. It comes in a variety of colors and grains; light, medium, or dark shades; and a variety of sizes, styles, finishes and species. Maple, mahogany and oak are the most popular woods, but some homeowners are investing in exotics such as Brazilian cherry and purple heart. 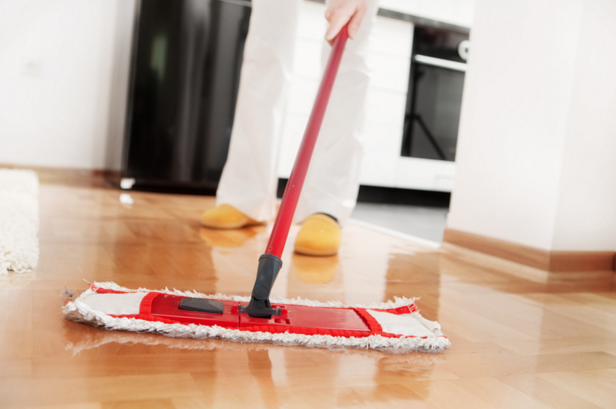 Maintenance of hardwood floors is not only important for your home but your health as well. The EPA claims that indoor air quality is one of the top health threats. 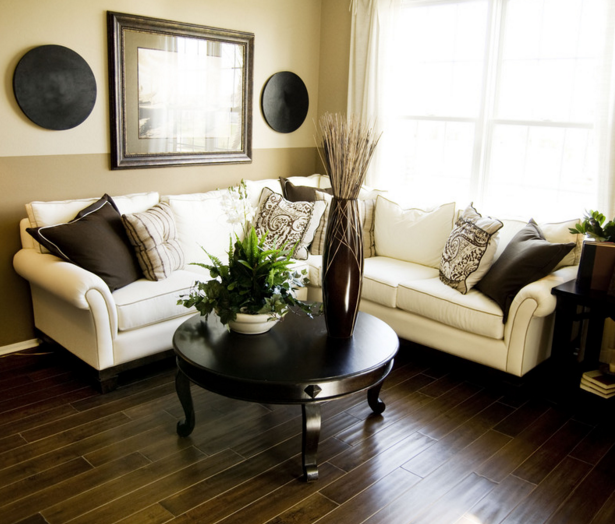 Wood floors can help contribute to a healthy living environment. In fact, a recent EPA study found that pesticides used in gardens and homes accumulate on floors and other surfaces in the home. But wood floors greatly reduce the accumulation of such toxins. Hardwood floors also do not trap or harbor dust mites or molds like carpet. Though wood floors will probably need to be refinished at some point, when properly taken care of they are much easier to maintain than other floor surfaces. The NWFA recommends regular sweeping of hardwood floors with a soft-bristle broom or dust mop to remove surface dirt and debris. If your floor contains beveled edges, it recommends using a vacuum with a soft bristle brush attachment to remove dirt and debris from between the floorboards. Hardwood floors could make the difference between a sale or watching a potential buyer walk out the door. We cover Chelsea, Dexter, Ypsilanti, Saline, Ann Arbor and the entire Washtenaw County area. Call us at 734-747-7500 or 734-747-7700. We’re also available via email at info@bhhssnyder.com.